The real story so far in 2018 is the decline in active listings. The neighborhood is following the same trends as the last couple of years, but at much lower levels of inventory. 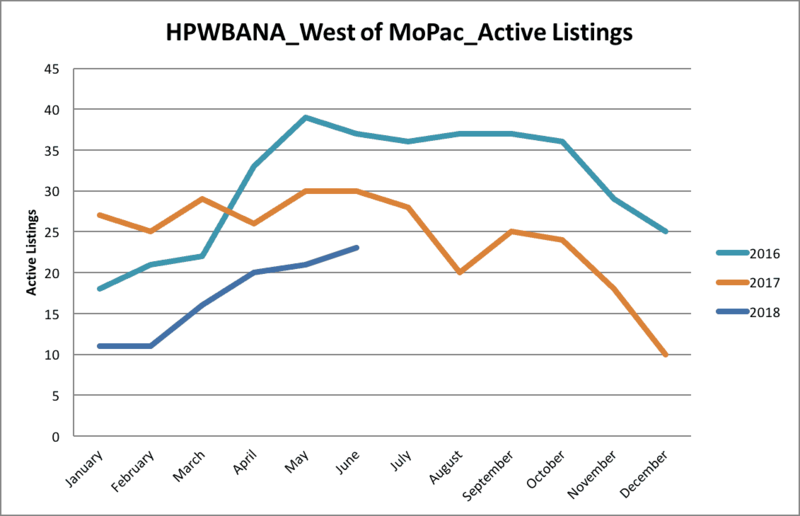 Whereas in 2016 and 2017, monthly active listings through June averaged 28, in 2018 that number has dropped to 17, a decline of roughly 40%. Note: All data comes from the Austin Board of Realtors’ MLS report, reflecting activity through June 30, 2018.